Our best soundtrack tournament continues with two new titles. As The Minish Cap and Breath of the Wild duke it out in yesterday’s poll, Majora’s Mask and Twilight Princess step into the fray. It’s this week’s main event, so let’s get to it! 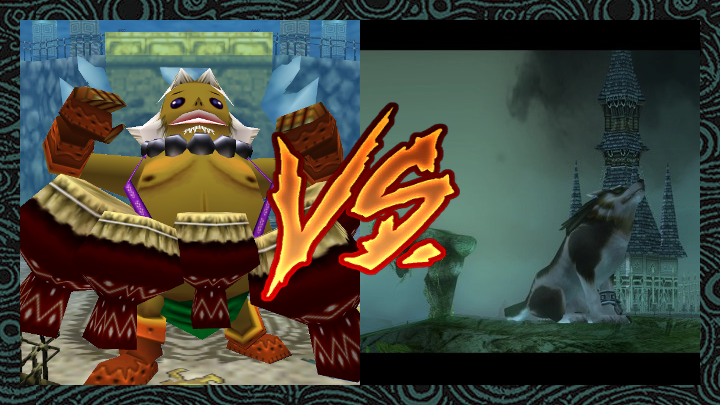 Majora’s Mask has been blasting its way through the competition since Round 1. Phantom Hourglass and Four Swords were just no match for this game’s outstandingly beautiful soundtrack. As fans have stated over and over again, the music of Majora’s Mask is as emotional as it is iconic, which is why all polls it’s been involved in has attracted considerably more votes than many others. But while the game may have breezed through the first two rounds, its opponent this time around is expected to put up quite a fight. Twilight Princess survived the fight of the century in Round 2. This beloved game’s bout with equally beloved Wind Waker dang near broke the site with over 1,000 votes cast. Both games traded the majority for most of last weekend — Twilight Princess was even down by about 50 votes at one point — but in the end, this soundtrack pulled ahead, winning the poll by only 80 votes. This dark, epic, and gorgeous soundtrack has the support of many, so we’ll see if it can go the distance in another big match.